A set of 20 stories and 40 innovative activities will form part of the curriculum to train the children to think logically and creatively and understand their role in the social system and nature. The curriculum involves a daily 45-minute happiness class beginning with mindfulness. Classes covering the ambitious "happiness curriculum", introduced by the Delhi government for the students of nursery up to the 8th standard in its schools, will begin from next week, Deputy Chief Minister Manish Sisodia said today. An estimated 9-10 lakh students of the Delhi government schools will be taught in these classes. The government was also in talks with the municipal corporations that ran primary schools in the city for conducting these classes, Mr Sisodia said at an orientation programme for teachers. "The classes covering the happiness curriculum will begin next week. We are also talking to the municipal corporations. 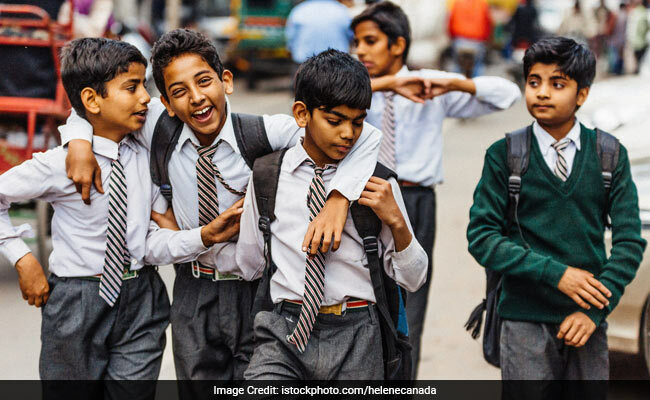 If the students of the corporation schools are added, the number of children to be covered under the happiness curriculum will go up to 15-16 lakh," he told reporters later. The solutions to modern-day problems like terrorism, corruption and pollution could come from these classrooms, the deputy chief minister said and hoped that someday, the innovative initiative of the Delhi government would be adopted all over the country and the world. The curriculum involves a daily 45-minute happiness class beginning with mindfulness, followed by a story-telling and activities session. As the class starts, the students will be given five minutes to settle down and pay attention to the happenings around them, which will be a form of mindfulness. Mr Sisodia said the teachers should not be concerned about completing the syllabus. "Do not rush to complete all the stories and activities. The focus should be that the right message sinks in the children," he added. The three-day orientation programme, involving 18,000 teachers of Delhi government schools, was held to train them about the curriculum. Another orientation programme for 1,000 principals and officials of the Education department will be held tomorrow.